Wall-mounting a television seems complicated to look at. 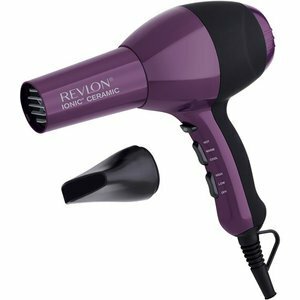 However, if you will look at the steps one-by-one, you will realize that the process is easy enough for DIY novices. Installing a TV somewhere higher than usual saves space and gives a better view. Let’s learn how to mount a TV on the wall! The top priority is the TV’s location inside a room. You have all the right to decide, but you must have factors to consider as a way to avoid regrets. 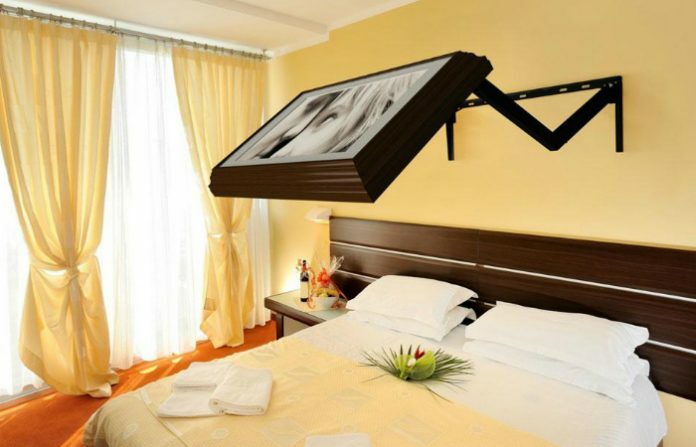 If you want to have a TV inside your room, most likely you will lie down on the bed while watching. In this case, mount the TV so high that it reaches the border between the ceiling and the wall. If the TV is mounted lower, you will probably choke yourself from lowering your head since your chin would be compressed to your neck. Or, you might hurt your arms from supporting your head just to lift it higher. In the living room and other exposed places inside the house, the TV must only be eye level. The recommended difference between the floor and the TV’s bottom edge is only three feet at most. We do not recommend installing the TV above a bookshelf or fireplace. You will hurt your neck and eyes from lifting your head higher while focusing on images for a long time. 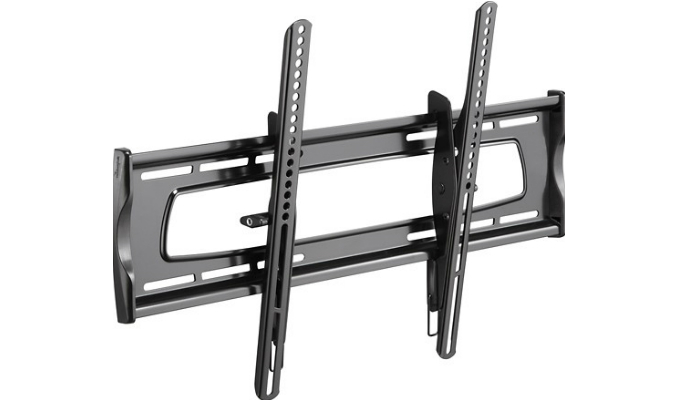 There are different types of mounts designed for wall TV installment. The two major types are the tilting and the articulating mounts. The first type of wall mount is more common than articulating mounts. A tilting mount lets you install a TV on the wall following several points, even reaching six in some instances. It is perfect for heavy and huge TVs. The disadvantage is how fixed the TV is with this mount. The TV cannot swivel from one side to another. However, you can move it up and down for a little bit. Besides, you can install it at eye level only to avoid the need to swivel. For smaller TVs, an articulating mount is what you need. It only has a single arm but with two joints that let you remove the TV easily and turn it in more directions than the tilting mount. The downside is that an articulating mount only has one point. However, there are already articulating mounts designed for big TVs. Just browse the store carefully. Just because you have the right type of mount does not mean that it will surely fit your TV. Specifically, the mount must fit the TV’s holes for mounting. Every new TV model is compatible with VESA mounts. Being compatible with VESA mounts means that the TV perfectly complies with the mounting standard of the Video Electronics Standards Association. VESA mounts also comply with the association’s standard, of course. 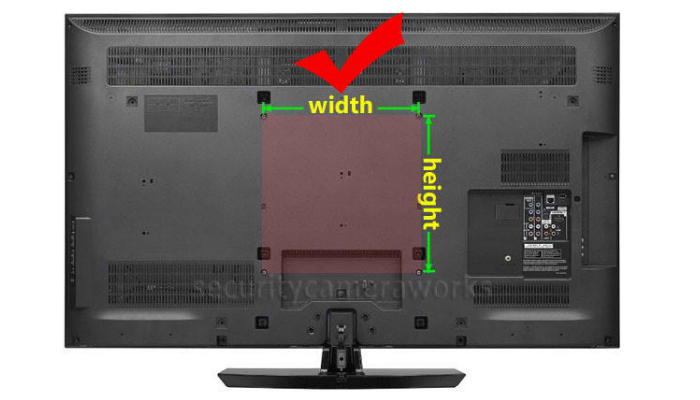 Another advantage of VESA mounts is how easy it is to identify the right size for your TV. To measure, focus on your TV’s backside, specifically at the four screw holes forming a square. Measure the gap between two holes horizontally or vertically. The unit of measurement must be millimeters. Once you get the number, just choose a VESA mount with the same figure. Honestly, you will not have much problem with tilting mounts when it comes to the VESA mount’s size because most of them are compatible with all sizes. Just to be sure though, measure! Measuring the size is pretty easy, so no need to skip that part. The mount must be screwed into studs along the wall. This ensures that the wall mount will be very secure. Do not mount your TV on a plain drywall. Drywalls are weaker compared to the section of wall studs. However, how can we find wall studs? After all, we can only see a tall, wide wall. 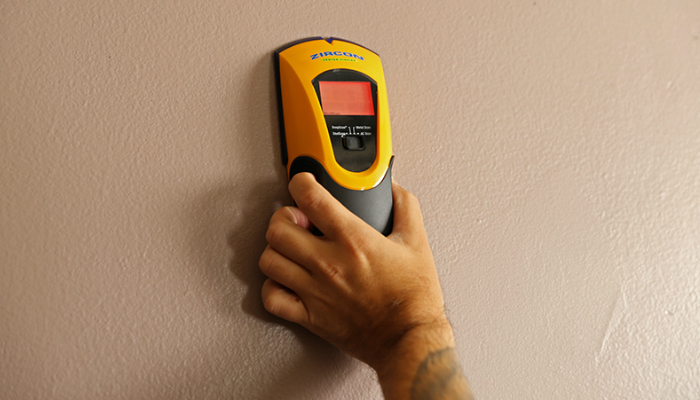 Use a stud finder to search for studs. Wall studs are hidden at the back of the drywall. They are placed at the center for every 16 inches. 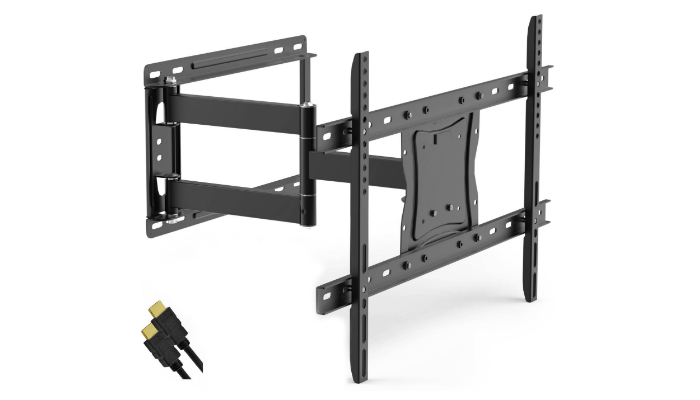 When you resort to a tilting mount, you will use two to three studs based on the TV’s size. Once you finally decided on a specific spot, you might find it difficult if you are alone for the next steps. It is best to have someone with you while mounting the TV. First things first, use a pencil to mark the spot. If you do not drill holes, the screws might split the wall studs. This process is a must especially for thick bolts or screws because it is almost impossible to drive them into the wall without holes. Keep in mind that the pilot hole must be smaller than the screw’s width. Install the TV’s wall mount. For easier mounting, use either a socket wrench or a power drill based on the type of bolts or screws. For more information, you can read the manual for the mount you bought. Some mounts have specific instructions that are only necessary for their kind. Attach the TV onto the mount. Using the holes behind the TV, attach the brackets. Then, hook the TV on the mount. See, the whole process is too simple. You can either leave the dangling cables alone or do something about it. Some people are not very particular about cables. However, if you want a cleaner look, you may use a specialty kit or a material that is designed for hiding cords. One way is to purchase a specialty kit and install it near the TV mount. A specialty kit makes an extension cord at the back of the wall. The electrical wire and tube it needs are code-compliant and can totally feed all cables. More about the specialty kit, it gives a plug for the TV right at the mount. Other cables are organized near the baseboard for other devices. Some people might resort to drilling holes again on the wall for the cables, but that is prohibited. 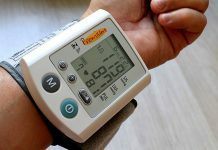 Unfortunately, you need knowledge when it comes to electronics and construction to ace the specialty kit’s installation. You must know how to maneuver electrical stuff and cut a big hole in the wall without any damage. It is best to call a pro for this such as electricians if you are not sure how to install a specialty kit. 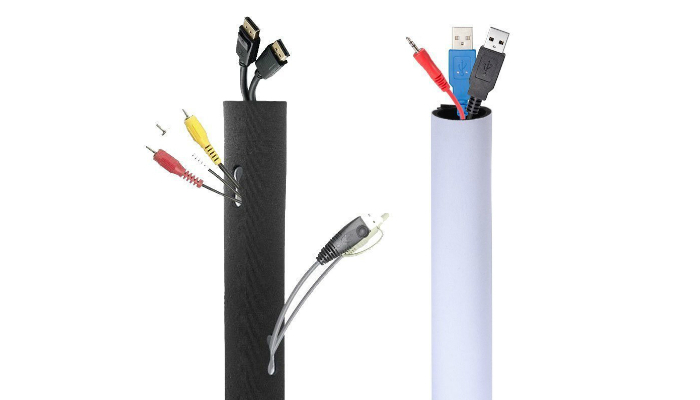 If you use other alternatives for hiding cables, you will spare your wall from big holes. Search the store for products that specialize on hiding cords from wall-mounted TVs. 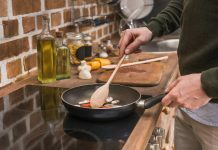 These products are easier to assemble than specialty kits. You just need to screw one into the wall and organize cables using that. Even if the specialty kit can totally hide the cables compared to alternatives, it is too complicated to install. 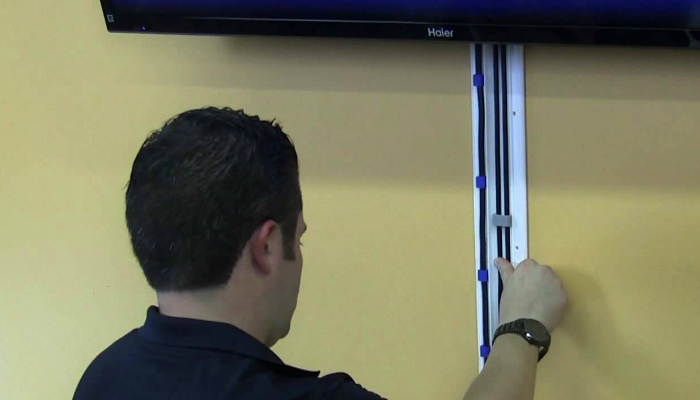 Are you surprised how easy it is to mount a TV on the wall? 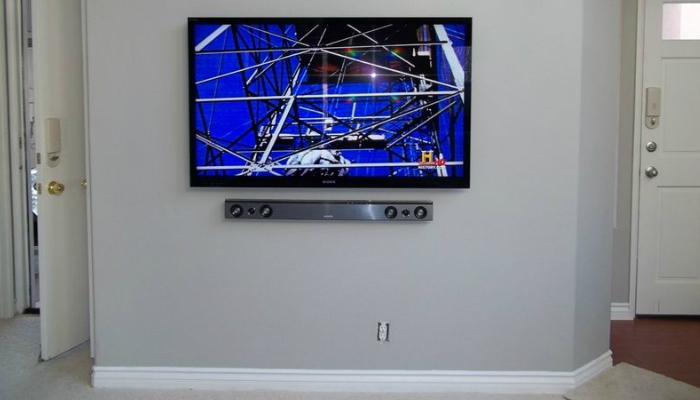 With the right knowledge about mounts and the right tools, you can easily install a TV in any room you want as long as you put it on a secure surface. Remember, wall studs are essential for the TV’s security. If you are also searching for a new television, check out the best 40-inch TVs in today’s market.